Delegates and CMC campaigners at Fourth Meeting of States Parties to the Convention on Cluster Munitions, Lusaka, Zambia. Today, 3 December is the fifth anniversary of the Oslo Signing Conference for the Convention on Cluster Munitions and an opportunity as well to recognize the work of Cluster Munition Coalition members from around the world over the past decade, in pushing for and expanding the Convention’s reach. I will speak about the region I know best, Latin America and the Caribbean, and the challenges and opportunities faced by the Convention on Cluster Munitions there. Latin American countries played an active role during the Oslo Process; Mexico as a member of the Core Group for the Oslo Process for the Convention on Cluster Munitions, and Costa Rica, Peru, Mexico, and Chile organizing regional and international conferences, both in the run up to, and immediately following the signing of the Convention on Cluster Munitions. Many of the countries in this part of the world were among the first to ratify the Treaty, accounting for 17 of 33 States Parties. 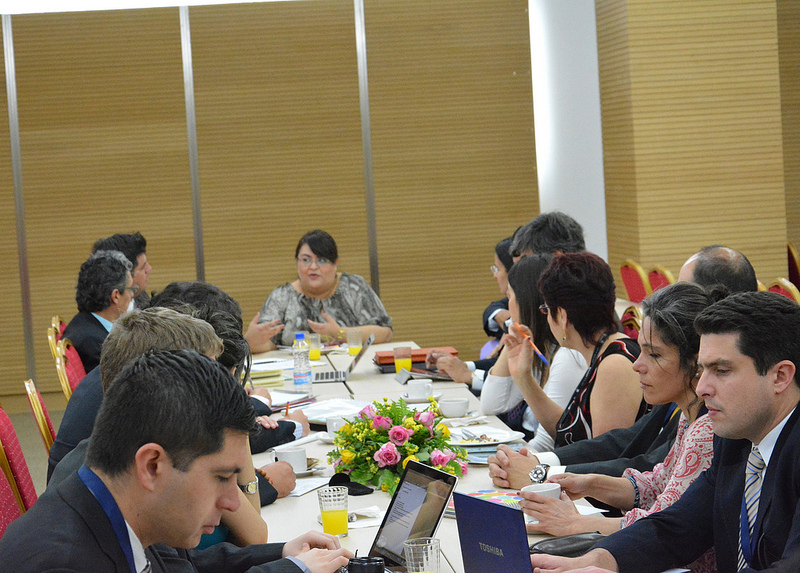 Throughout this process, Latin American Cluster Munition Coalition members have continued to work closely with the governments of the region for the universalization and implementation of the Convention. There remain important challenges ahead of us, though. Among the Latin American countries, Argentina, Brazil, Cuba, and Venezuela, haven’t signed the Convention, while Colombia and Paraguay have yet to ratify it. And there have been delays in the presentation of national transparency reports on Treaty progress. Latin America stands to be a global asset for the promotion and implementation of the CCM based on the accumulated experience on international cooperation – within the framework of the Mine Ban Treaty – and the expertise, infrastructure, and human resources among several countries of the region. Specifically, Latin America brings South-South and triangular cooperation experience to the table. So what is the regional forecast for the Convention on Cluster Munitions? 2014 looks as one with many possibilities, including discussion flowing from the mid-December 2013 regional conference on universalization in Santiago, Chile, and the Fifth Meeting of States Parties to be held in September 2014, in San José, Costa Rica. There is also a good chance that in that period, that Paraguay, and Colombia (an affected country which took the initiative to destroy its stockpiles ahead of the ratification of CCM) could be the newest States Parties to the Convention, boosting Latin American “membership”, to 15 of 19 countries. At the same time, the Caribbean is on the move with Saint Kitts and Nevis being the latest country in the world to accede to the Treaty. It is likely that further Caribbean countries will jump on board in 2014, taking into account that these countries have not produced, transferred, stockpiled, acquired, used, or been affected by cluster munitions – with the exception, in this last case, of Grenada – and given their traditional commitment to humanitarian causes. Latin America and the Caribbean has demonstrated important region-wide support for the Convention on Cluster Munitions in the few short years since the Treaty became international law. While there remains a lot of work to be done on the universalization and implementation of the Convention, we should draw confidence from what has already been achieved in the region and beyond, and apply these lessons to achieving a world free from the plight of cluster munitions.